THE ‘marriage’ between Umno and Pas must be read together with Umno’s impending ‘divorce’ with its two wives - MCA and MIC. Whether the breakup of Barisan Nasional is real or just a drama, Umno and Pas are already attacking Pakatan Harapan (PH) from the Malay flank while MCA and MIC are attacking PH from the non-Malay flank. This ethnic flank attack shows that a "scorched earth policy" is now being deployed. "Scorched earth" policy refers to a strategy of deliberately destroying everything in an attempt to win at all costs. As always with such cruel deeds, it is the ordinary people who will suffer the most. Their aim is meant to make Malaysia “ungovernable” for Pakatan Harapan because the popularly elected government will have to deal with angry ethnic fires fanned from both the Malay front and the non-Malay side. The demands from both sides will be contradictory, hostile and explosive. The objective of such a “flank attack” is to make both Malays and non-Malays feel aggravated and deprived. Everything will be framed in racial binary terms. 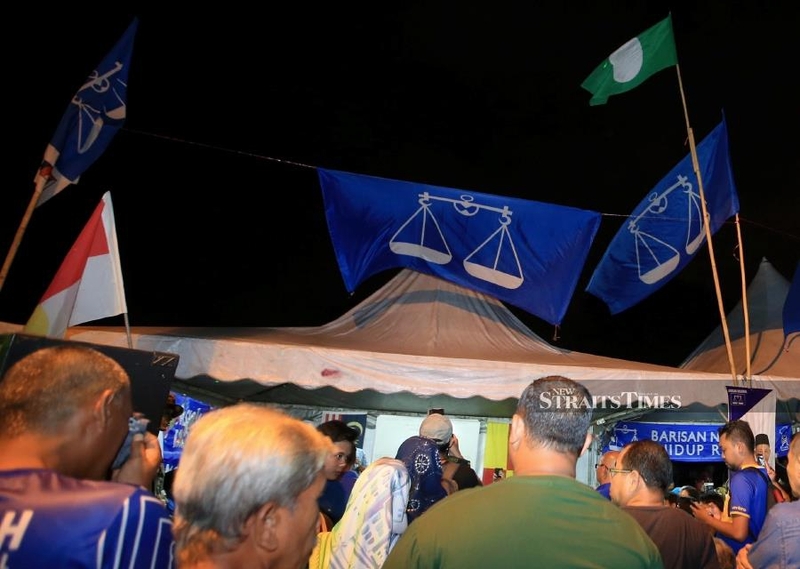 The aim is also to break Pakatan Harapan’s multi-ethnic coalition from within, as the centre may not hold due to contradictory demands from the flanks. The marriage of Umno and Pas now allows this new racial pact to paint everything bad against Malaysians who are neither Malays nor Muslims, and they no longer need to pretend to be centrist since MCA and MIC are allegedly no longer their official allies; and vice versa. In this setting, there is no way that Pakatan Harapan can "out-Malay" Umno, "out-Islam" Pas, "out-Chinese" MCA and "out-Indian" MIC. But there is a light of hope in this politics of darkness. Malaysia has great potential as a nation united for better things to come. For the Malaysia Baharu experiment to succeed, Pakatan Harapan must emerge as a people's movement. The people should not assume that since they have voted on 9th May 2018, it is time to sit back and watch. The struggle is not over yet. For Malaysians who believe that Malaysia does not need to be torn apart racially, those who believe that GE14 was a turning point to build lasting prosperity and peace for all, and those who want Malaysia to stand tall in the eyes of the world, we must stand together and we must form a movement to counter the divisive and racial “movement strategy” of Umno-Pas and MCA-MIC. Besides many in Semenanjung Malaysia, I know that our brothers and sisters in Sabah and Sarawak, both Muslims and non-Muslims, are looking forward towards a Malaysia Baharu that is inclusive, caring and sharing; a nation that rejects religious extremism and promotes solidarity. Both the Umno-Pas and MCA-MIC pacts stand for spreading racial fires. The Pakatan Harapan movement represents peace, spiritual strength, religious tolerance, prosperity, upward mobility and progress for all.